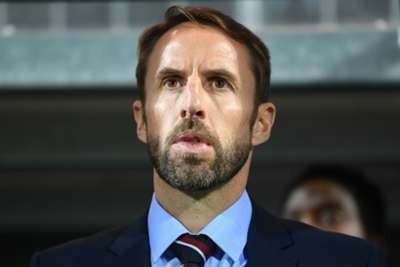 England boss Gareth Southgate has criticised the decision to start the Premier League season so soon after the end of the World Cup. The 2018-19 campaign got underway on August 10, only 26 days after France beat Croatia in the World Cup final in Moscow's Luzhniki Stadium and 27 after England lost to Belgium in the third-place play-off. It meant players in England's top flight had a week less to recover than those playing in LaLiga and Serie A and two weeks less than Bundesliga stars. And Southgate, whose team take on Spain in the Nations League in Seville on Monday, thinks some club managers were put in an "impossible situation" by having to field players who had been given so little recovery time after Russia. "I think it's psychological freshness, rather than physical," he said. "Everyone adapts their training load appropriately. But I think when you see the league, there are a lot of teams who haven't started yet at the level when they are at their maximum. There have been a lot of injuries across certainly our league, too. I don't know about the rest of Europe. "I don't really understand why our league started so early but they did, so it's been a really difficult situation for the clubs. Look at Tottenham Hotspur, who had so many players in the semi-finals of the World Cup. They had to put players straight into matches on the back of very little pre-season. It was an impossible situation for the coaches, really. "I didn't really know [why] and I hadn't looked into when the season started until when we got back from the tournament. Maybe they were expecting us to be back by the end of June. I assumed the rest of the world were going to be there until the middle of July. "It's always easy to make a comment like that and not know the complex scenario the decision-makers had to go to, because that happens to me quite a lot. But everybody knew when the final was going to be, and the semi-final, and that the players would be away for a period of time. "It's a bit like our clubs in the Champions League. Some of the rest of the leagues in Europe help them and adjust the fixture list [to allow teams more recovery time around Champions League games]. I'm sure our clubs would appreciate that because, in the end, they're representing English football and we want them all to do well."